Anxiety treatment in the context of counseling can work for you, especially when you are able to find a mental health professional with whom you feel a good connection. Let’s look at specifics. First of all, what are you anxious about? Are you anxious about something in particular, or do you find that you are generally anxious quite often? In other words, is an anxious state your norm? These are some of the fundamental things to consider in the beginning of the counseling process. Is Your Anxiety About Something in Particular? If you've identified a specific stressor or stressors, let’s take a closer look at how anxiety treatment can work for you. What types of thoughts do I typically have about the situation? What feelings do these thoughts produce? Where do I feel these feelings in my body? If you don’t know, that’s okay; but please make it a point to start noticing, as this is important and will help you detect your anxiety in early on in the future. How do I react once I have these feelings? What do I do in response to them? Does your anxiety reach such an intensity that you feel as though you are having a heart attack? If so, you may be suffering from anxiety or panic attacks (a page on this is coming soon, and more on this is written farther down on this page). In any case, if you have identified a specific stressor(s), you are in a much better position to address your anxiety. If you cannot pin your anxiety on anything specific, don't despair. Keep reading, the next section on this page is very relevant to you. Cognitive-Behavioral Therapy, or CBT as it’s commonly referred to, is a long-standing evidence-based practice for anxiety treatment, as well as for depression. Since these two conditions often go hand in hand, CBT is a very effective model when working with anxiety and stress. Please take a look at this list of thought distortions. As you examined the list, you may have realized that you think all of these distortions from time to time. That is normal. The real problem comes when we do any of these habitually. For example, if we commonly engage in #2 Polarized Thinking, or #5 Catastrophizing, it is a near certainty that anxiety will be a problem in our lives. I see this over and over with clients. THE GOOD NEWS: You can change your thinking habits. It’s not as hard as it may sound. I would suggest this link. This page contains an excellent, straight-forward technique for systematically identifying and then changing our thought distortions. This is at the heart of anxiety treatment! In addition, it’s very important to note that changing your thought habits will help you cope with both situation-specific anxiety and more generalized anxiety and stress. The key is persistence--if you journal your thoughts in the manner that Burns describes in the Triple Column Technique, and stick with it, you can change the way you think and respond to events. You have an event (hundreds of them, every day). Say someone you know walks by you, but across the street. You wave, but he ignores you. Possibility #1: He ignored me. Wow, what a jerk! Possibility #2: He must not have noticed me. After all, we were a pretty good distance from one another. And….of course there are many other things you could think about this event. Based in large part on the thoughts you have about the event, you have certain FEELINGS. Think of the difference between the first thought and the second thought. Would each of those result in a different set of feelings? You bet. Here’s the thing: This process repeats itself, over and over again, hundreds and thousands of times, over your lifespan. Additionally, since our minds work by association, the more anxious, depressed, happy (or whatever emotion you feel) we feel, our minds will look for things that it associates with the feelings and thoughts we’re having. This can be a negative or positive spiral. A panic attack is a particularly intense surge of anxiety that may last for several minutes or cycle on and off for hours. Those who have suffered panic attacks often feel as though they are having a heart attack. In any case, panic attacks are incredibly intense and thus very scary! (A specific page on this topic is coming soon) If you think you may suffer from these, I strongly recommend seeking professional help, and reading this link about panic disorder. How Do You Perceive Your Anxiety? The reason I ask you this is because many of us automatically consider our anxiety to be BAD. While it is certainly unpleasant, it's not necessarily a bad thing. What do I mean? Put simply, our anxiety is an emotion, with an energy of its own. Consider that the anxiety and stress you feel may be giving you a message. If so, it's important that you listen to it! For example, anxiety may be a message to slow down, to learn how to relax, and/or to take better care of yourself. IF you can see your anxiety as neither inherently good or bad, it can help you be in touch with its purpose and function. Ironically, seeing it in this manner can help you accept its presence and reduce your tendency to have anxiety about the anxiety itself. 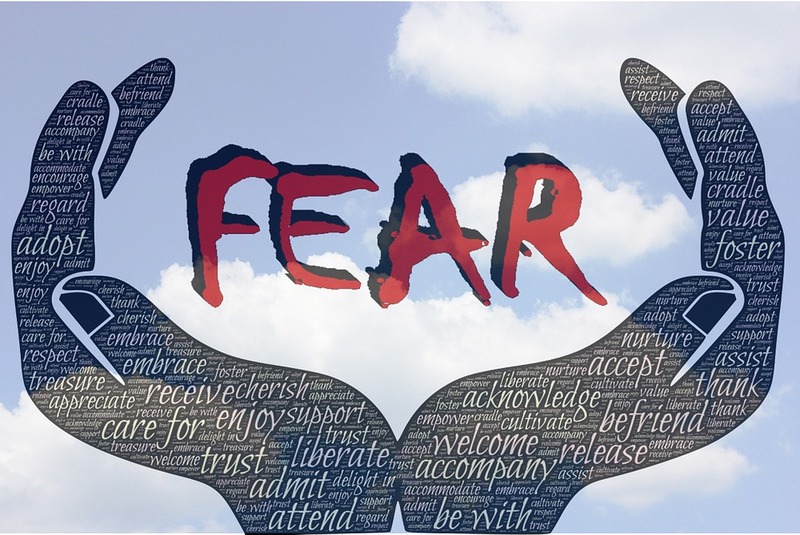 This 'secondary anxiety' (fear of the fear) can be a very disabling thing, and is one of the first things I talk with anxious clients about in counseling. These methods for treating anxiety and stress are evidence-based. However, I must tell you, while some people can do this on their own, many if not most people find that consultation with a mental health professional greatly improves their ability to integrate and sustain their improvements. This is particularly true if your anxiety is generalized and tends to be prevalent in much or most of your daily life. If you think that your anxiety is linked to or caused by a traumatic experience, please click here. As always, it is wise to consult with your physician to rule out any medical reasons for your anxiety. Heart disease, respiratory problems (such as asthma), diabetes and other conditions can cause or worsen anxiety and stress.